Many functions and features in OS X Sierra are accessed and controlled by swiping, flicking, tapping and pinching on the surface of a trackpad (or on the top of Apple's accessory Magic Mouse), as well as by pointing and clicking. But like operating systems of yesteryear, Sierra also lets you use a keyboard alone to summon a feature or function, including Siri. In fact, Sierra contains so many "keyboard shortcuts" — combinations of key presses that invoke a command — that an Apple webpage lists hundreds of them. And if those aren't enough, you can create your own shortcuts by browsing to Apple menu > System Preferences and selecting Keyboard. Click Shortcuts, select app shortcuts and then click Add (+). What follows here is our choice of the most useful keyboard shortcuts in Sierra (and all OS X versions, starting with OS X 10.2 Jaguar). Did we miss any of your favorites? Share them in a comment. Is there a keyboard shortcut for making screen captures in Windows 8? Go to accessories. Click on Snipping Tool. With the Task bar unlocked, place the Snipping Tool on the task bar. From there you will be able to capture anything on the screen and save it to your Pictures File. What th??? That is the most complicated procedure ever!! Typical Microsoft! 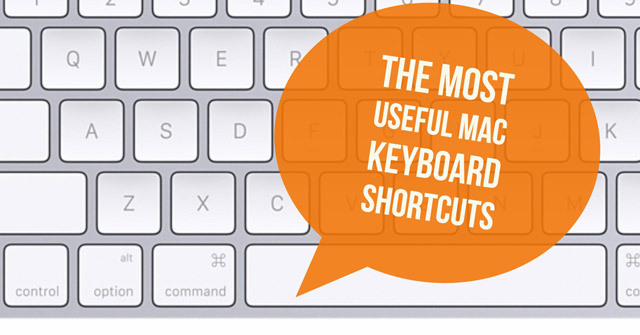 Is there anything easier — such as a keyboard shortcut?? You can use the Print Screen key to capture the entire desktop and save it to the clipboard. Or, hit Alt + Print Screen to save just the active window. And, new with Windows 8, hit Windows + Print Screen to save the entire desktop to the clipboard and the Picture folder on your computer. If you just want to capture a portion of the screen, the Snipping Tool is a great little feature of Windows that not many people know about. In some apps, it’s simply shift-command-v, but the alt won’t hurt and then you don’t need to remember when to use it or not. If you’re every copy pasting and needing to edit the result, try the above.